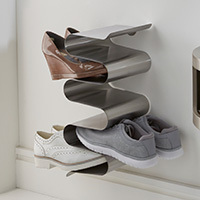 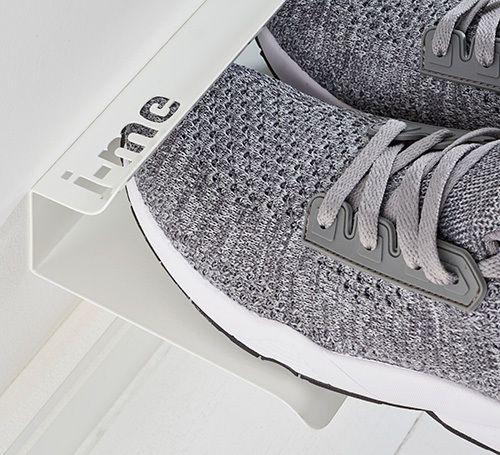 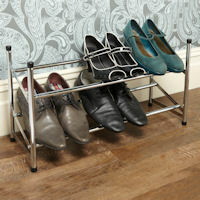 Our new smaller sized trendy brushed stainless steel designer shoe rack is wall-mounted, holds 4-5 pairs of shoes and is great for storing shoes in tighter spaces. 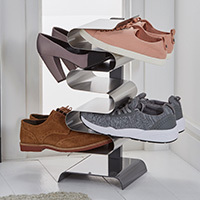 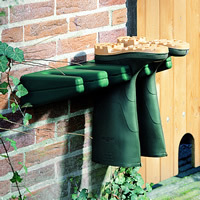 This uber cool shoe rack turns a functional item into a really elegant design by gently holding each shoe so they appear to float off the ground. 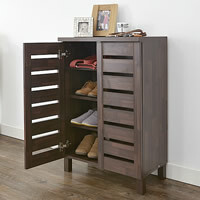 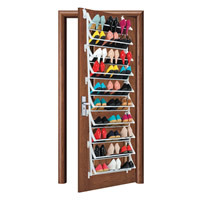 Shoe storage never looked so good! 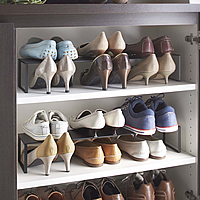 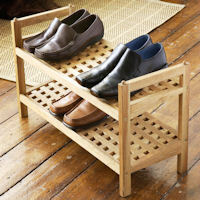 Why not have a few shoe racks above each other as shown for serious shoe storage.